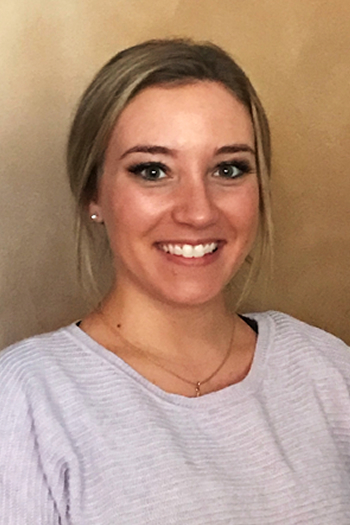 Caitlin, RDH, BA, is a full-time registered dental hygienist for Old Bridge Dental®. She is a graduate from Rutgers University, where she received a BA in Biological Sciences. Following her degree, she went on to pursue her dental hygiene education at the Rutgers School of Health Related Professions (SHRP). Caitlin has served on the School of Health Related Professions Alumni Association Review Committee; additionally, taught students as a tutor for several semesters for the Office of Student Affairs for SHRP. 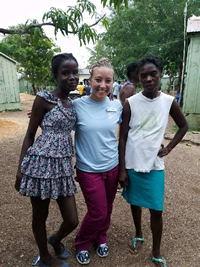 She was even invited back by Rutgers School of Health Related Professions to speak about her October 2017 experience on a dental mission trip in the Dominican Republic. Because Caitlin’s patients are her top priority, she is always continuing her education. She was even sought out to write for the popular blog, Today’s RDH. Her first published article is now used as a reference for students in a Community Dentistry course at Rutgers School of Dental Medicine. To follow Caitlin’s research and experiences go to: www.todaysrdh.com! 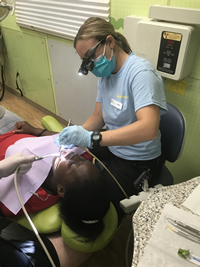 Caitlin serving a patient on the 2017 Old Bridge Dental Mission Trip to the Dominican Republic. In the little spare time Caitlin does have, she utilizes it to create Etsy digital illustrations. She’s also known to centralize her creative talents into baking everything from cakes for events and cookies (of all kinds); including, the three-tiered birthday cake cookies that Old Bridge Dental gives to patients who visit the practice within 2 weeks of their birthday! As a hygienist, Caitlin is as thorough and calming of one’s nerves as can be. Give us a call anytime to request this trick-of-all-trades at your next visit! 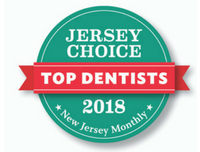 Why Old Bridge Dental? Why not?! I received tulips at my interview! Caitlin posing with patients who braided her hair on the Mission Trip to the Dominican Republic. We always give tulips to patients and the community the weeks of Valentine’s Day and Mother’s Day.The second I interviewed here, I knew I wanted to be here more than anything; everyone’s attitude, the atmosphere, setting, and personalities were all so positive. Little things showed me this team goes the extra mile. Dr. Griggs came and sat in the chair during my interview with the Lead Hygienist and I thought ‘well, isn’t he the coolest? !’ They were preparing for Dentistry from the Heart that week, which I felt was really special. Something as simple as the structure of the hygiene appt – like taking Blood Pressure – I knew things were actually done the right the way here. Knowing I was going to have enough time to provide everything that patients need in an appointment was a relief beyond measure. I knew this practice was completely patient centric and does what it takes to provide the highest quality of care to each and every patient. My last visit with hygienist, Caitlin, and Dr. DiCarlo was great! They were both very friendly and professional. Caitlin was understanding with my sensitive teeth issues and my cleaning was the easiest, most comfortable one I’ve had. Much appreciated!